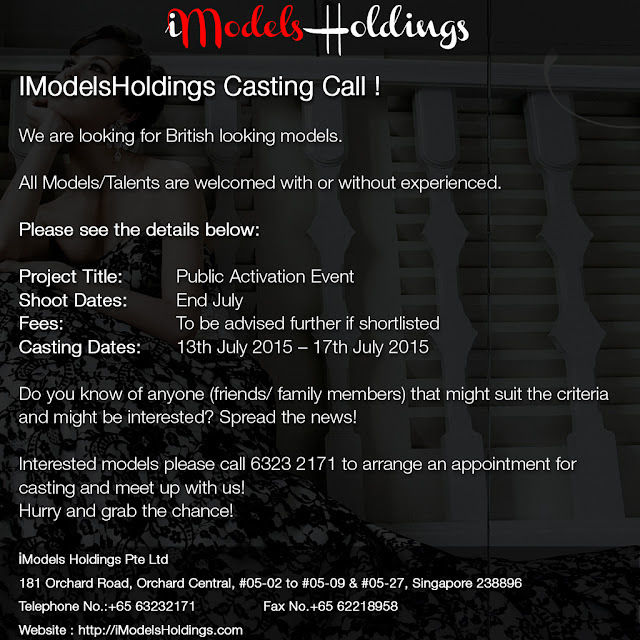 We are looking for British looking models. All Models/Talents are welcomed with or without experienced. Do you know of anyone (friends/ family members) that might suit the criteria and might be interested? Spread the news! Interested models please call 63232171 to arrange an appointment for casting and meet up with us! Hurry and grab the chance! Be the next top Model in city.